Forest fringed Virgin Falls is a gem in the rough. The waterfall is reached via a long, rugged road where a tough 4WD truck is recommended, but the reward is definitely worth it. 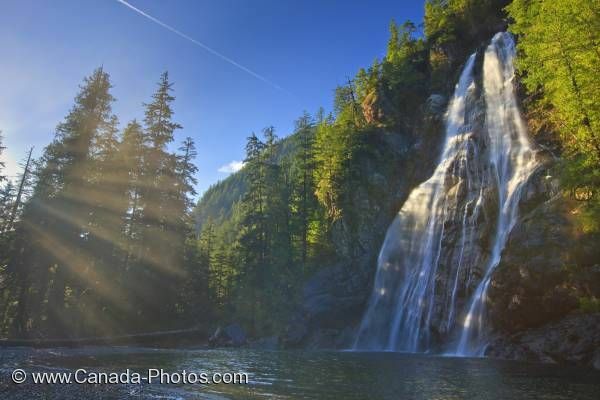 Situated on Vancouver Island in beautiful BC, Canada, Virgin Falls plunges 53 metres to a pristine pool at its base.